My husband is an English speaker, I am Italian and, as many of you already know, we live in Cork, Ireland. Our son Kevin was born on 17 December 2010. We decided to raise him bilingual and we still stick to this decision. It is not the easy road and it is a strong commitment for both parents. With great fear, I found out that in order to achieve this goal I had speak to him only in Italian. As I started learning English at 35, I was very much focused on improving it when Kevin was born. The idea of speaking Italian constantly again freaked me out… and the first six months were a nightmare! Therefore, I understand that it is difficult for some parents to switch languages all the time, but I can reassure them that it is a temporary discomfort and that the ability to switch will soon improve. I started to talk Italian to Kevin all the time, regardless of where we were. It might have looked a bit funny… as Kevin was only a baby and he couldn’t answer. I know that many parents feel a bit weird or impolite about talking Italian in front of people who cannot understand. I have never had a problem with anyone. By the tone of my voice and looking at Kevin, no one would ever think that I am saying something bad or nasty about them. With my great disappointment, Kevin started talking mostly in English (I think he was about two years old). In spite of the fact that he used to spend the majority of his time with me and didn’t go to a crèche, all his words were in English (this, that, daddy, it…) bar ‘mama’. I was getting worried that Kevin, in spite of all my efforts, wouldn’t speak Italian. 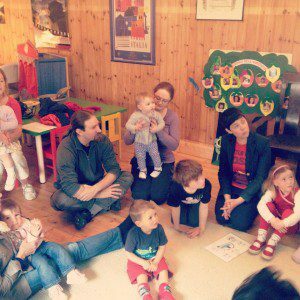 I had started Italian playgroups and I tried to keep them up for a while, I had a nice time hanging out with other Italian mothers, but there was no structure and our children were not really engaged with Italian. I read a couple of articles about the subject, one of them written by psychologist Serio Spinelli who is also raising his children bilingual in Dublin. Both articles were suggesting that the ‘majority language’ parent can encourage the use of the minority language (Italian in our case) by using some words, every now and then. They said that the majority language cannot be jeopardise by that as it is the society’s language.Afterwards, my husband started using a little bit of Italian with Kevin, too. Joady doesn’t speak Italian, but even still… the use of his few words definitely encouraged Kevin when he was about 2 and a few months old. Spinelli stresses also the importance of creating an Italian network for our bilingual children: ‘L’erosione progressiva della lingua materna è una evoluzione naturale contro cui è diflicile lottare da soli. 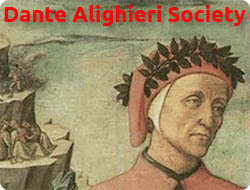 La soluzione sta nella rete di amici della nostra stessa origine linguistica che si avrà avuto cura di costruire. Senza I’aiuto di parlanti della stessa lingua esterni alla famiglia d’origine sarà impossibile mantenere il bilinguismo a lungo termine’. Luckily enough, I am a teacher and I know where to find Italian resources and teaching support. Therefore, a year ago we started our Piccolitalia project and I started using lots of songs at home, too. Kevin started singing himself to sleep and his Italian improved a lot. 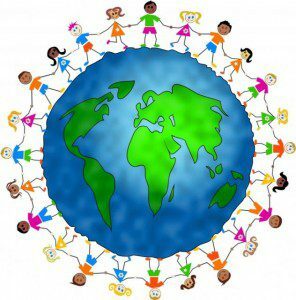 This project is a very good mix: it is a great way for our children to do something funtogether, to keep in touch with each other and to learn Italian or to reinforce the Italian they learn at home through a structured routine. Our weekly Italian class is definitely bearing fruit and Kevin’s Italian is at least as good as his English, if not slightly better. He goes to a crèche twice a week (about 10 hours a week) and when I go to collect him, he immediately starts telling me everything about everything in Italian. It is a wonderful bond, made even more special by the fact that we have our own language. People are amazed all the time because he’s able to switch from English to Italian instantaneously. The other day a lovely lady asked Kevin to teach her the colours in Italian and she was delighted with the lesson he gave her. As our language is difficult, I am frequently and gently correcting Kevin’s Italian and I give him explanations. It is the right thing to do. Do not think that those mistakes will go away by themselves because it won’t happen. Some parents asked me what I do when Kevin speaks to me in English… I don’t understand him and I don’t want to understand him in English! After all my efforts, the last thing that I want to do is to listen to him talking to me in English! I have heard of other Italian parents who are doing the same and so far so good for them, too. Things will probably get more difficult and I know of many parents whose children started talking to them in English since they started going to school… chi vivrà vedrà (those who will live will see)! Ps: this is not a scientific treatise, but only our experience limited to our first three years. If you would like to add something about your own experience, it would be great. Last Call! 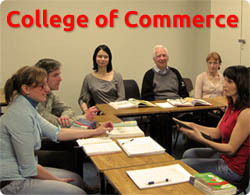 New Italian Classes starting next week at the College of Commerce!